Discover these flexible and portable media, and how combining them adds excitement to the process and the work itself. We will be working outdoors near Wet Paint, exploring landscape subjects in the area (indoors if weather is not conducive for outdoor work). In addition to the materials on the supply list , bring a portable chair, bug spray and be prepared to hold onto your hat! Experience the pleasure of working outdoors in this special mixed media workshop on location in St. Paul. Learn how to combine media effectively and handle the variations of the elements all of which adds excitement to the process and the work itself. A complete supply list will be sent to registrants before class. We’ll be using watercolors, white gouache and soft pastels. 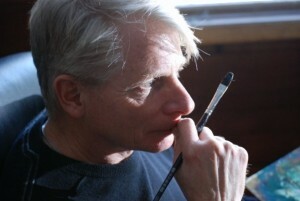 Carl Oltvedt has recently relocated to Minneapolis following his retirement from teaching at Minnesota State University, Moorhead, where he was a Professor in the School of Visual Arts for thirty-two years. During that time, he was the head of the Drawing program and also taught painting and watercolor courses. He has been a visiting artist at regional schools, as well as at the Glasgow School of Art and Duncan of Jordanstone College of Art in Scotland. He is currently represented by Groveland Gallery in Minneapolis, where he has been exhibiting his work since 1978, and, more recently, Underbrush Gallery in Fargo, ND. 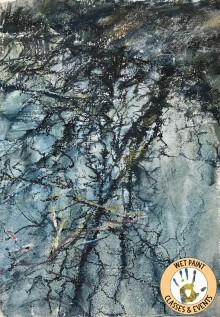 Previously, he has been represented by galleries in Chicago, Detroit and San Francisco. Additionally, his work is included in numerous public, corporate and private collections including the Honolulu Academy of Arts, the Minneapolis Institute of Art, the Minnesota Historical Society, the North Dakota Museum of Art, the Rourke Art Museum, and the Plains Art Museum. He received Minnesota State Arts Board awards in 1991 and 2014, and a Lake Region Arts Council/McKnight Fellowship in 2002.